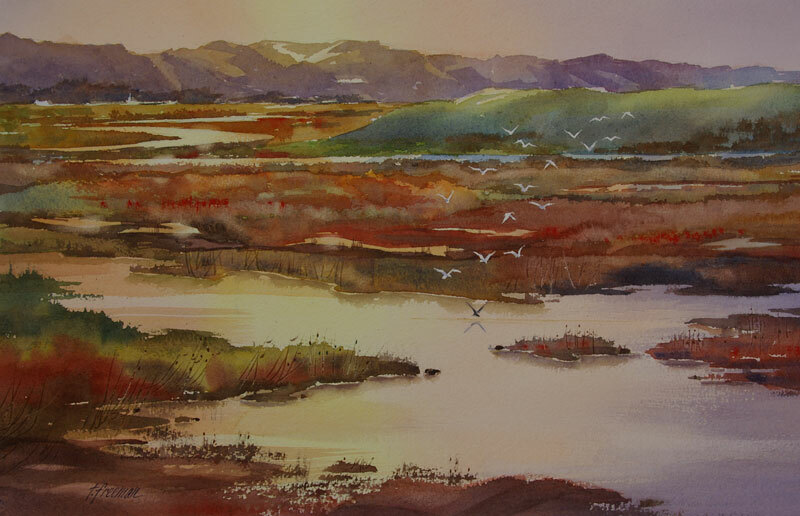 Thomas Freeman Original Watercolor Painting: "Pacific Flyway"
This area is a marshland off Highway 1 near Pescadero, California. The birds use it as a stop in their migratory flight path. The birds (terns) were masked before painting so I could be loose with the background.